We are in love with this Navetta we recently wrapped. The vinyl wrapcolor choice by the yacht owner is beautiful and displays this 58 foot Absoulte Navetta with class and style. We’ve done wrapped it all – car, trucks, floors, walls, windows, golf clubs, ice chest, boats, and aircraft. Vinyl films are so verstile that most surface can be altered in texture, color, or appearance with vinyl films. 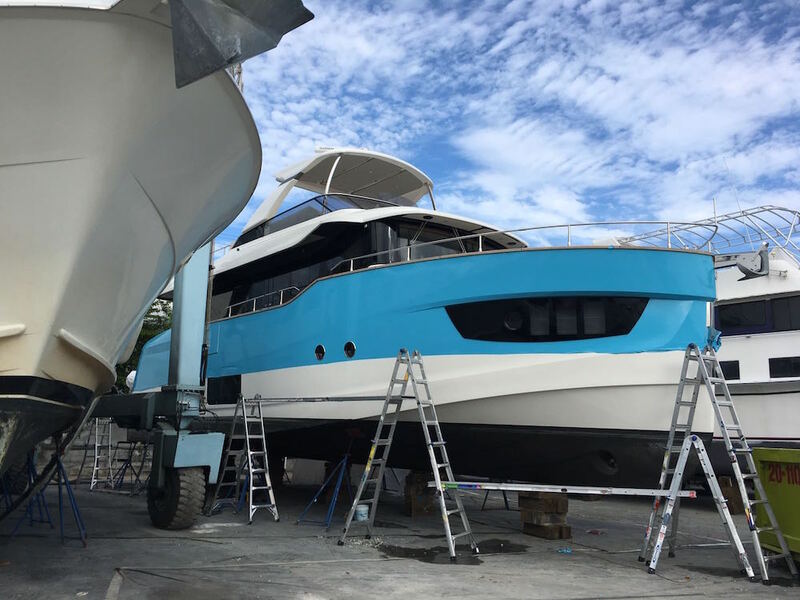 Now we must say, we love wrapping boats and yachts! That is we are writing this post…..to show off one of our recent projects, the baby blue Navetta. This Absolute Yacht “Navetta 58”, is a luxury yacht that speaks strength and beauty. With incredible structure and a classy, noble appearance, the only think left to do is style this mother of pearl, and that is exactly what the lucky owner did. We take pride in being the boat wrap company to tend to the exciting job. Check out images we captured. Visit Marine Wraps to our boat wrap portfolio. Need Financing for your Wrap? Apply for financing online and get your project started today.